Having released an EP back in 2002 from the sometime duo, nowadays largely uno Ilkae, aka Canada’s Aaron Munson, we were delighted when we heard Ilkae had a new 777-copy limited edition CDR out, called ‘Stained Glass Pinata’. What’s more, he wanted to mix up a couple of the tracks from it with some more exclusive songs for a Monotonik release as the cunningly named ‘Stained Glass Confetti EP’. In fact, we were so delighted that we let him do it. So he did. So we released it. And this is it. So, if you’ve heard Ilkae’s previous ‘Pistachio Island’ CD on Merck Records, you’ll know the basic modus operandi – rather gorgeously scattershot electronica with both chiptune and idm influences. From the get-go with ‘The Lockpick Almanac’, we can dig the lush sounds and ever-so-slightly abstracted melodies, and ‘Outfoxing A Unicorn’ spaces things out further with a marvellously weird jig of a track, before ‘Tin Crow’ brings things home with obtuse atom-spherics and weightlifter class complexity. 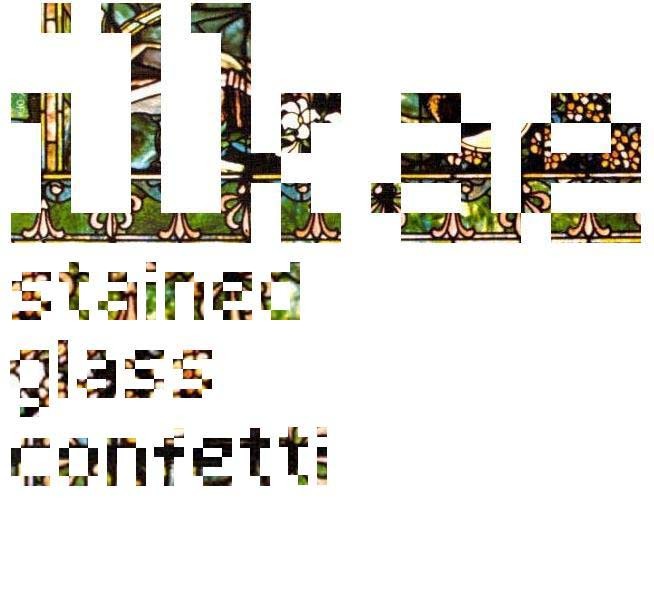 To sum up – if you like the companion piece enough, consider wandering over to Ilkae’s site (http://www.ilkae.com/) and picking up the entire ‘Stained Glass Pinata’ experience. If not, then you can just thank Ilkae for bustin’ open the pinata, and letting you pick up some of the goodies from within. Mm, sweet edible melodies.